Experience games from all corners of the world! 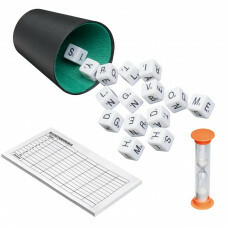 An exciting assortment of classic games created to hang out with friends and family and make you smarter and happier. 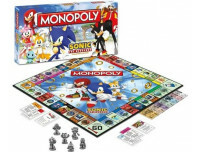 We also think it should not take a long time to start playing, preferably no more than five minutes as a maximum. 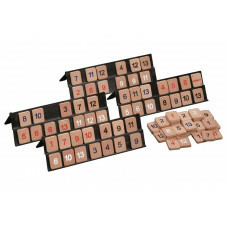 We have therefore chosen educational games with simple rules and at the same time very enriching. 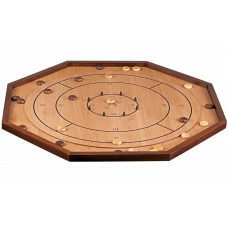 Crokinole frame of pinewood brown stained, AN 3311 / Size 690x690x25 mm. 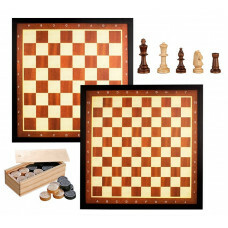 Playing pieces of schima-wood, natural and brown stained, diam 27 mm. 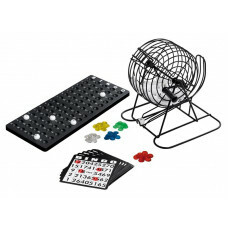 Crokinole origin..
Bingo cage of metal, 200x186x185 mm AN 3759 / The game set included a plastic bingo box, 340x147x12 mm, 18 bingo cards, 75 bingo balls, 150 bingo chips in 4 co.. Round design diam 125 mm, with 3 metal balls, AN 3200 / This fascinating game needs skill, patience and dexterity. 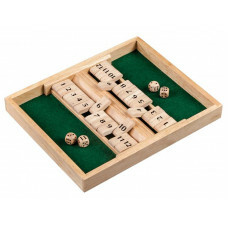 Three small iron balls must be rolled along ..
15 rebus dice with letters in black, AN 3569 / The game set included a rebus score sheet, a hourglass and a dice cup. 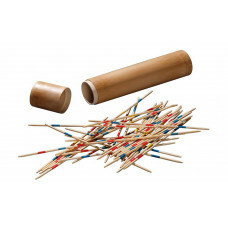 Party game for 2-7 players The game i.. 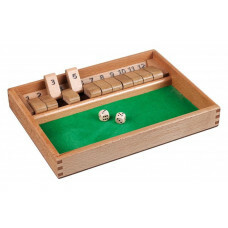 Shut the Box or Canoga? 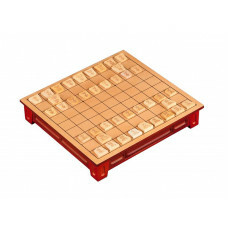 AN 3120 / It is the same and a simple but very entertaining game from England. 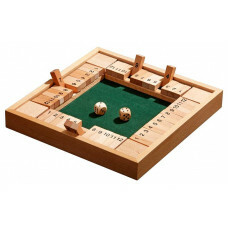 The players throws the dice and then proceeds to shut of..
Canoga Simple Stylish Design, AN 3287 / It is the same and a simple but very entertaining game from England. The players throws the dice and then proceeds to s..
Canoga for two, AN 3282 / It is the same and a simple but very entertaining game from England. 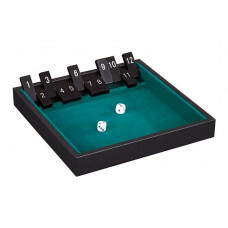 The players throws the dice and then proceeds to shut off one or..
Canoga for four players, AN 3281 / The players throws the dice and then proceeds to shut off one or more numbers to the total value of the throw. The winner is.. 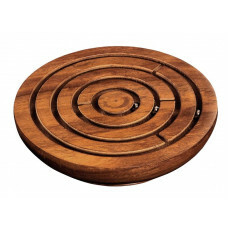 Rummy M 2-4 players, AN 3608 / Small rummy game in cassette design made of beech with magnetic lock. Playing pieces made of locust wood, natural stained, sto.. 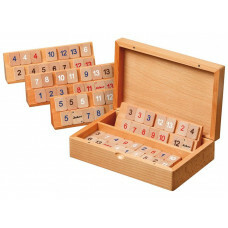 Rummy M 2-4 players, AN 3612 / Classic strategy game in cassette design made of maple and walnut. Playing pieces made of locust wood, natural stained, storag.. 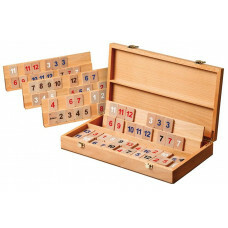 Rummy M 2-4 players, AN 3609 / Large rummy game in cassette design made of beech with clasps. 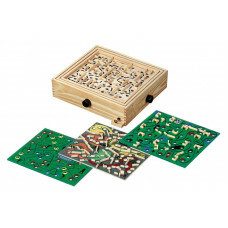 Playing pieces made of locust wood, natural stained, storage fo..
Labyrinth Small, AN 3197 / This fascinating game is highly dependent on your own skilfulness, patience and ability. 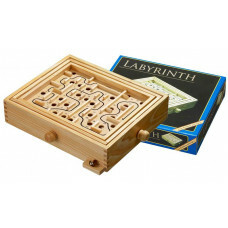 A small iron ball has to pass through a giv..
Labyrinth Medium, AN 3198 / This fascinating game is highly dependent on your own skilfulness, patience and ability. 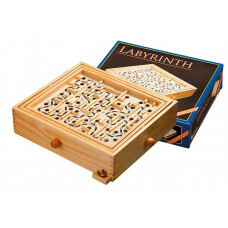 A small iron ball has to pass through a gi..
Labyrinth Large, AN 3199 / This fascinating game is highly dependent on your own skilfulness, patience and ability. 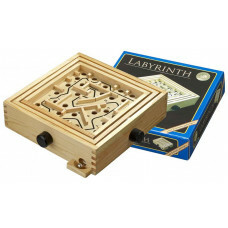 A small iron ball has to pass through a giv..
Labyrinth Special Large, AN 3193 / Special Large game Labyrinth with two double-side printed boards (four playing fields) and two metal balls. See "Specific..
Sohgi Table design, AN 3207 / Made of basswood natural and reddish brown stained, with double sided drawer. 40 playing pieces natural stained. 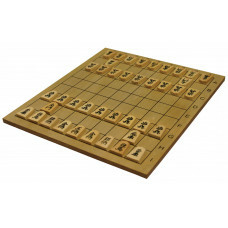 The goal of t..
Shogi classical design, 723720 / Made of wood natural stained, with 40 shogi pieces of wood. 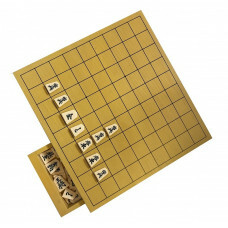 The goal of the game is to capture the opponent's king. 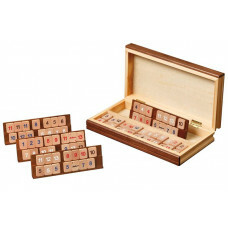 The pla..
Sohgi Exclusiv design, AN 9977 / Made of ramin-wood natural stained, with two drawers and 40 playing pieces. 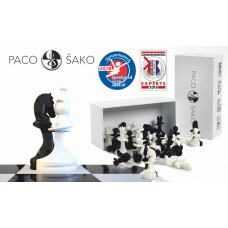 The goal of the game is to capture the opponent..
Tablut in table design, AN 03207 / Also known as Königszabel (German), King's Table (English), Kongens bord (Danish, Norwegian) is a Nordic Chess-like board ga..
Paco Sako Plastic Chess Pieces, 675700 / Based on the idea that the chess game can be played to express friendship, peace and cooperation. 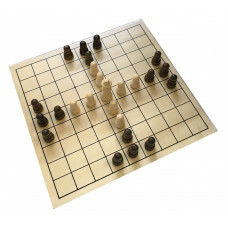 The Dutch artist an..
Two in One, Draughts + Chess, AN 2025-3052 / Double-sided printed game board made of MDF. 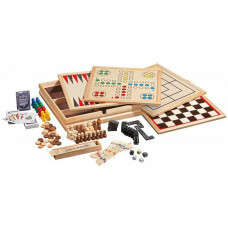 Chess board field size 45 mm (8x8), Draughts board field size 40 mm (..
Six Games in One Box, AN 3097 / A complette backgammon set, a chess set, a domino set, a checkers set, a poker dice set, 2 decks playing cards. See "Specifi.. 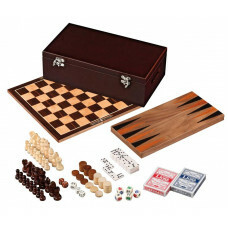 Eight Games in One Box, AN 9960 / The most popular classic games in a square wooden box. Backgammon, chess, domino set, checkers set, nine men´s morris, ludo, ..
Mikado set Budget / 3111 Affordable mikado set in box made of pine with playing stabs made of bamboo. Box size 195 x 43 x 25 mm. 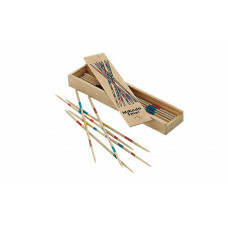 ..
Mikado Medium Standard / 3108 Affordable mikado set in box made of pine with playing stabs made of bamboo length 250 mm, diameter 4 mm. 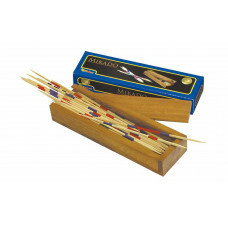 Box size 265 x 50 x 30 ..
Mikado set of Bamboo natural / 3109 Bamboo mikado set natural stained in tubular box with playing stabs made of bamboo. Box size 200 x 55 mm. ..